German Submarine UB-91 sunk a number of ships Welsh waters including the USCG TAMPA. 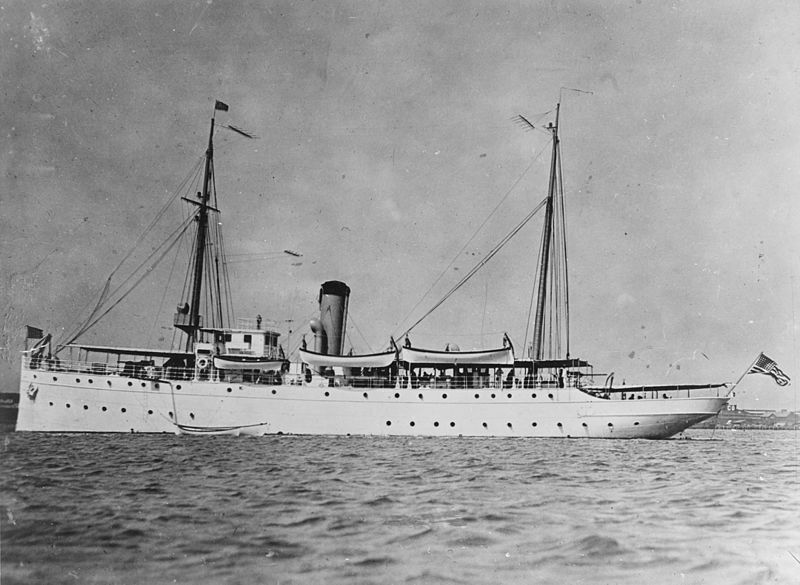 She was built as a Coastguard cutter for the United States Revenue Service. On 6 April 1917, when the United States declared war with Germany, the TAMPA and other Coast Guard cutters were transferred to the Navy and fitted with heavier armament at the Boston Navy Yard. On 29 September 1917, the TAMPA left in company for Gibraltar with the mission to protect convoys from submarine attacks. The TAMPA subsequently escorted 18 convoys, comprising a total of 350 vessels, from Gibraltar to Britain steaming an average of 3566 miles a month. On 26 September 1918, the TAMPA was escorting convoy HG-107 from Gibraltar to Milford Haven. During the late afternoon, TAMPA parted company with the convoy after escorting it into the Irish Sea and proceeded to Milford Haven. Around 20:45, UB-91 sank the TAMPA with a single torpedo with the loss of 131 officers and crews also on board were 10 R.N. ratings and 5 British dockworkers retuning from Gibraltar to UK postings. TAMPA's wooden lifeboats had ID plates on them and In 1924 a piece of a lifeboat with this identification plate washed ashore in Rest Bay Porthcawl, a local resident walking along the shore found the piece of wood with the ID tag still attached and handed it in to the authorities. It was returned to the USCG and eventually accessioned into the USCG permanent historic artifact collection, where it remains today.